Most people are familiar with the saying, 'Never put off until tomorrow what you can do today.' Usually it is considered negative to procrastinate or put off doing something. 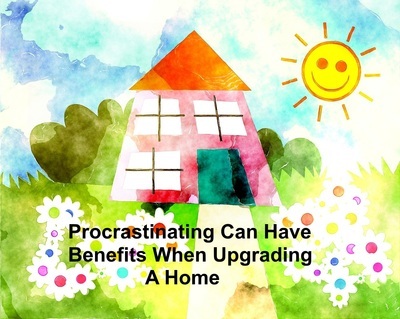 However, when it comes to upgrading, refurbishing or decorating a home you have just bought, there are advantages to taking your time. Okay, there are some things under the heading home repairs which need to be done as soon as possible. If there is anything which is a safety issue such as dodgy electrical wiring, don't procrastinate. Likewise, a leaky roof needs to be fixed or replaced immediately to avoid further damage and greater expense. You may want to live in the house for a while before getting stuck into repainting. 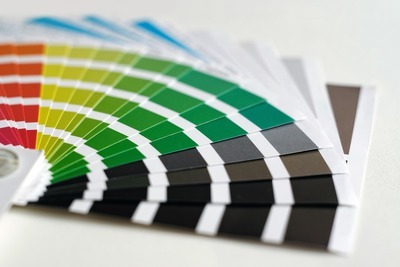 A colour will look different depending on how much light a room receives. Perhaps a dark shade appeals to you for a dramatic effect. 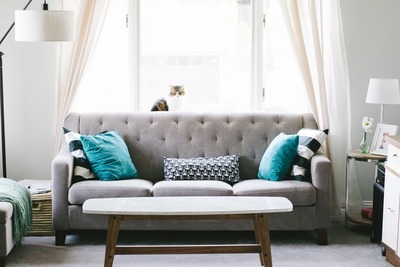 However, if the room doesn't receive much natural light because of a verandah or shady trees outside the window, you may decide after a few weeks that a lighter shade would work better. Having said that, it is so much easier to paint an empty room so you may decide to get stuck into repainting the moment settlement has gone through, before you move the furniture in, and just cross your fingers that you won't change your mind about the colour or shade. If you need some extra power points (wall sockets) it may be beneficial to live in the house a while to see where they would be most useful. You may find you move some furniture around in the early days of living in the house. Bad luck if you have rushed to get extra power points installed and then you decide the wall unit would be better right where you have placed a power point. Perhaps you decide the computer desk would be better positioned on the opposite wall. If you have paid out to get a power point consisting of six sockets put in the position that suits where you first placed that computer desk you will kick yourself for not procrastinating. The same goes for any extra lights you want to have installed. Take your time deciding what sort you want and their location. When it comes to smaller details of decorating your castle, take your time. Consider how you want a completed room to look. Do you like the cosy look or prefer a minimalist style? Do you want curtains or blinds? What type of floor treatment or floor covering would be practical and look good? What pieces of furniture would be suitable to achieve the look you are aiming for? Study ideas in magazines. Why do some rooms look good to you? Watch home and garden theme programs on television. Take note of furniture, furnishings and bits and pieces in houses you visit. Study Pinterest and similar sites. Go to all sorts of shops, antique, second hand, specially shops and browse. Make notes, take photos to refer to later. Take note of items that are being sold through the old fashioned community noticeboard or in shop windows. See what is available online. Check out Gum Tree and Ebay. There are many aspects of upgrading, refurbishing and decorating which are best done slowly, with plenty of thought and consideration. Enjoy the searching and planning as well as getting the job done and the finished product.